The Sri Siddhartha Medical College, Tumkur, Bangalore is one of the reputed medical colleges in Karnataka. The college is deemed to be a university. It offers Undergraduate, and Postgraduate in medical and technical streams. It was established in 2008. The Sri Siddhartha Medical College is recognized by the MCI (Medical Council of India). The college is affiliated with the UGC. It is Deemed to be University. 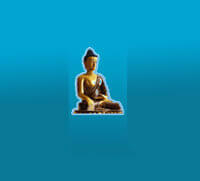 The Sri Siddhartha Medical College aims at providing quality education to students. It has modern laboratories, library, sports facilities, research centers, and club. The college has affiliations with certain industries and hospitals also. Students get the opportunity to do their internship at renowned hospitals and research centers. Admissions in the Sri Siddhartha Medical College are done on the basis of marks of students in the NEET UG/ NEET PG 2018 Exam. A candidate should have a minimum aggregate of 50% marks. The reserved category candidates should have a minimum aggregate of 40% marks. The candidate should appear in the SSAHE- AIPGET (Sri Siddhartha Academy of Higher Education – All India Post Graduate Entrance) Exam). Also, they should score at least 50 % marks (General students) and 40% marks (Reserved Category students) to become eligible for admission. A student should appear in the NEET–PG 2018 Exam.